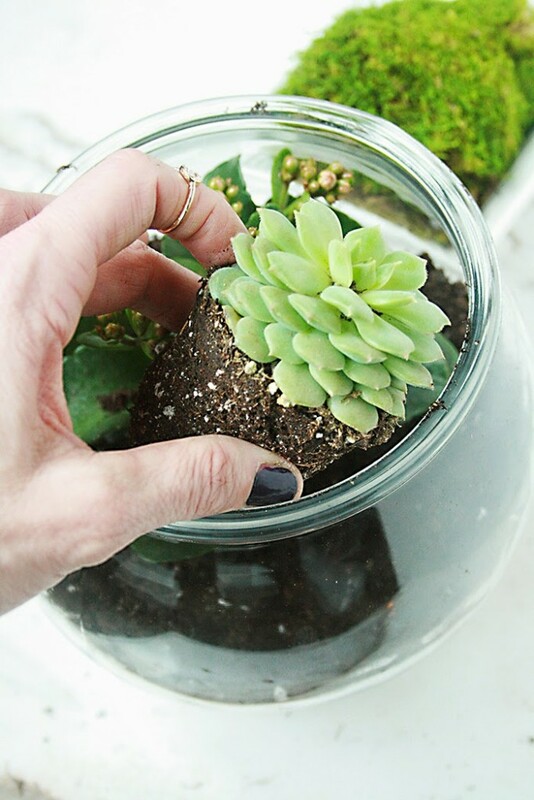 You might have noticed I’m a little obsessed with live plant terrariums and holiday centerpiece terrarium/glass cloches. 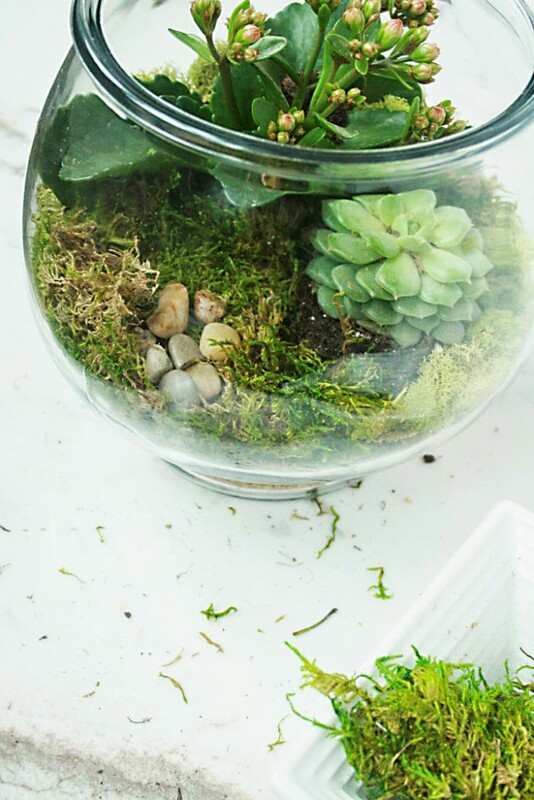 You can see my spring floral terrarium how to that I did last year, and I still remember it lasting quite a few weeks. 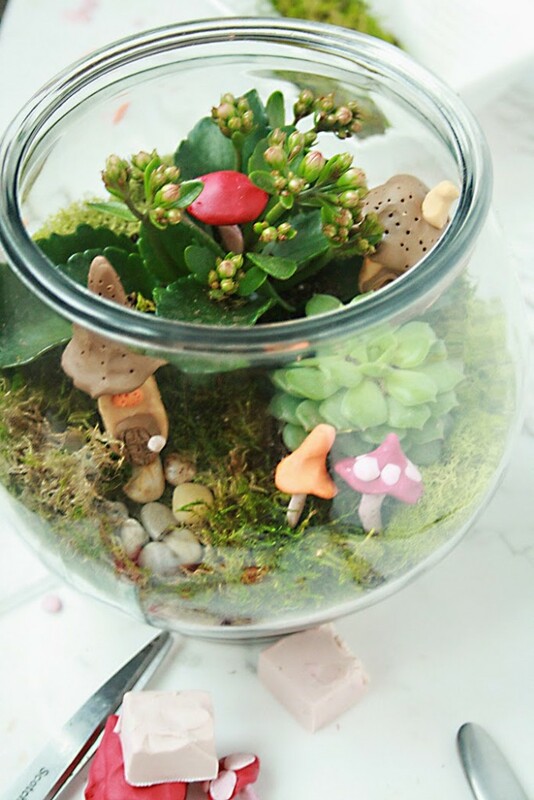 Since St. Patricks day is around the corner, I am sharing an Irish terrarium, using succulents and clay to create an Irish village. My kids have declared that this is the best leprechaun trap and we are for sure going to catch him this year because leprechauns are really the size of fairies and they are going to be so fooled! HA! I’ll take it. 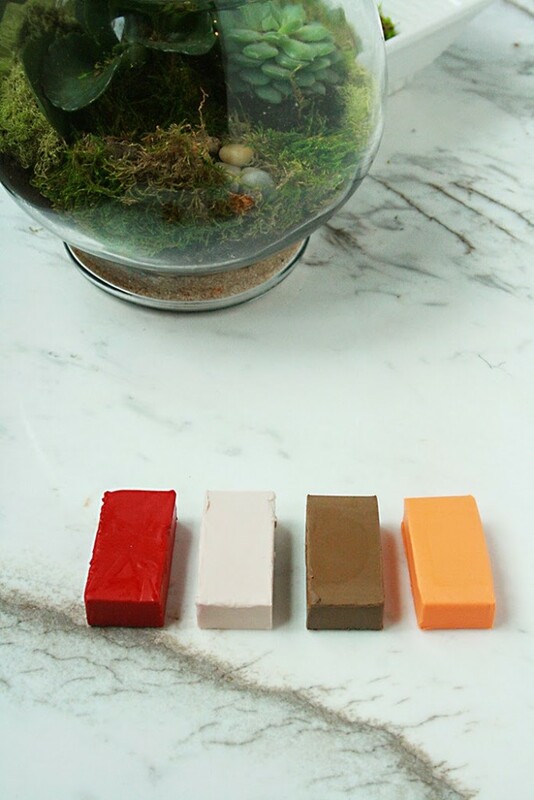 This is a really fun project to make with kids. My kids did all the clay work and it makes it look woodland and whimsical. 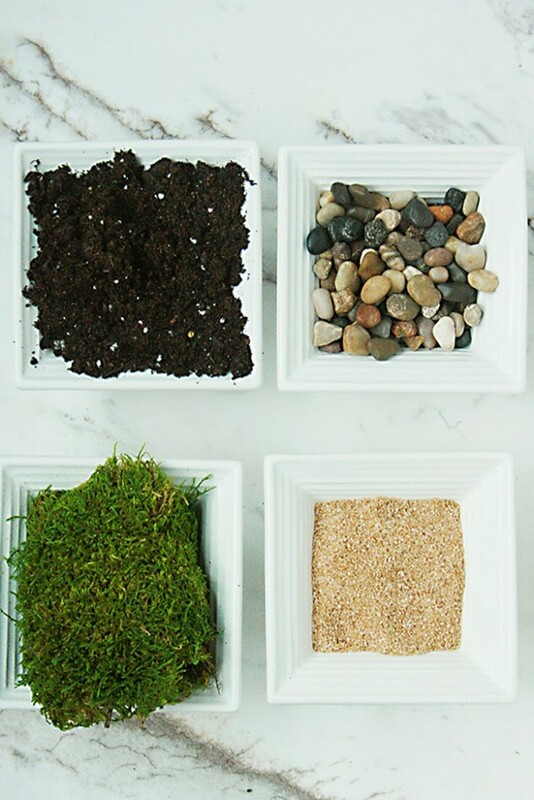 soil, tiny rocks, moss and sand–most you can get at a craft store. 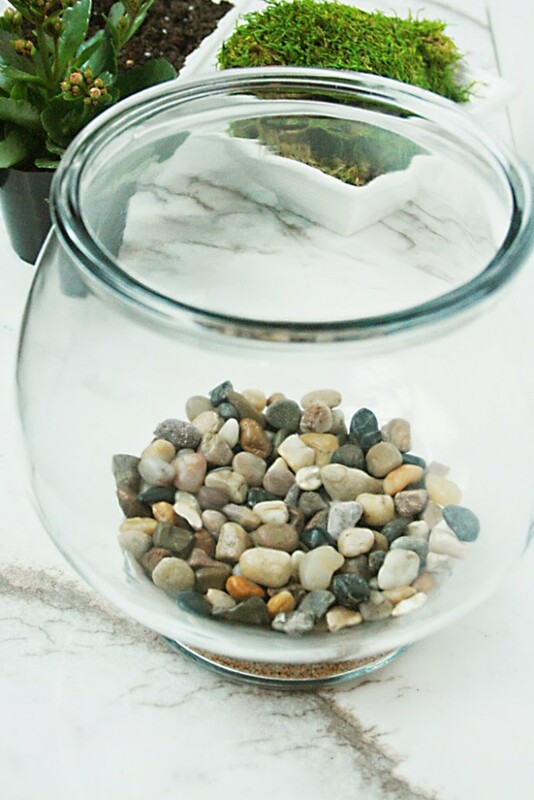 To begin– I layered the glass starting with the sand then tiny rock pebbles, then soil. 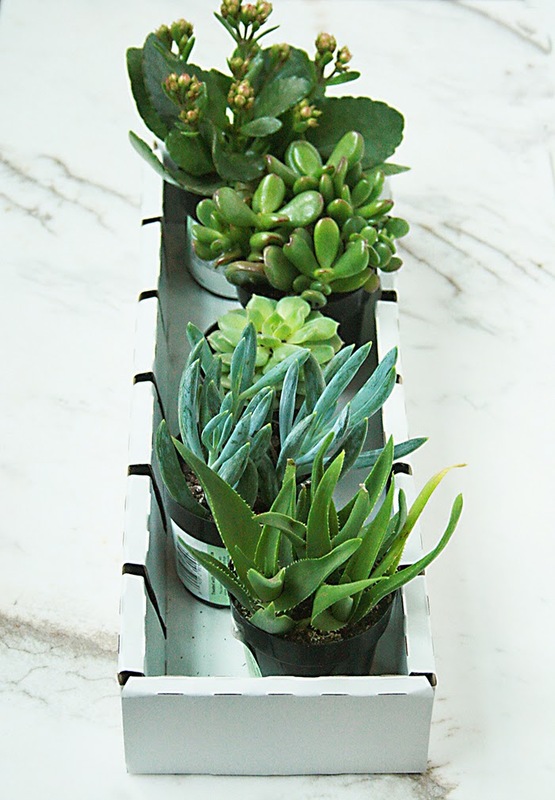 Then you add the succulents. 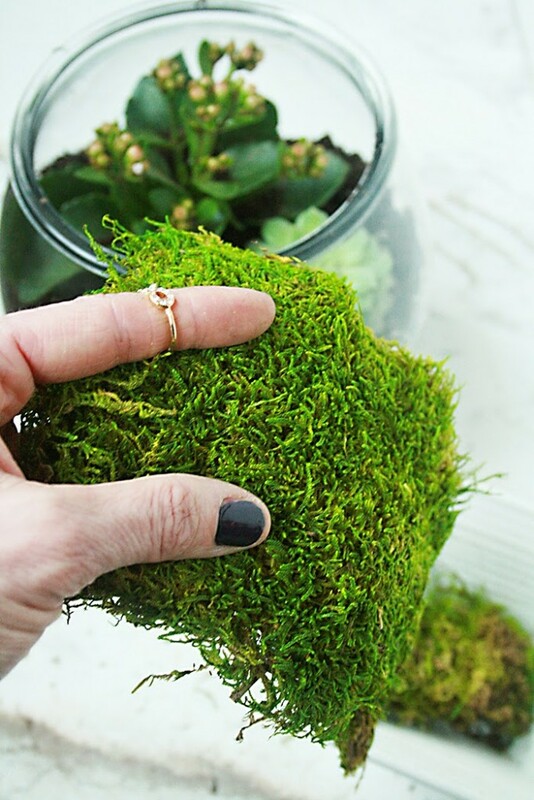 Cover your layers with moss. 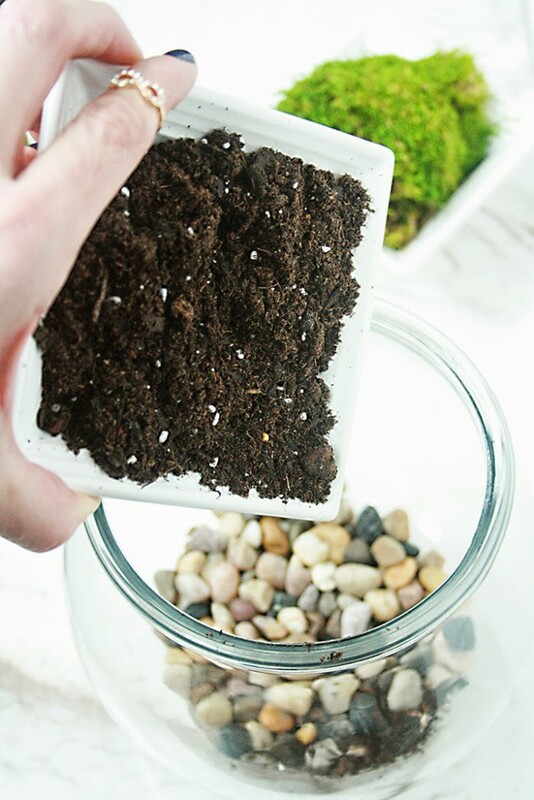 Add tiny rocks for variation on the moss. 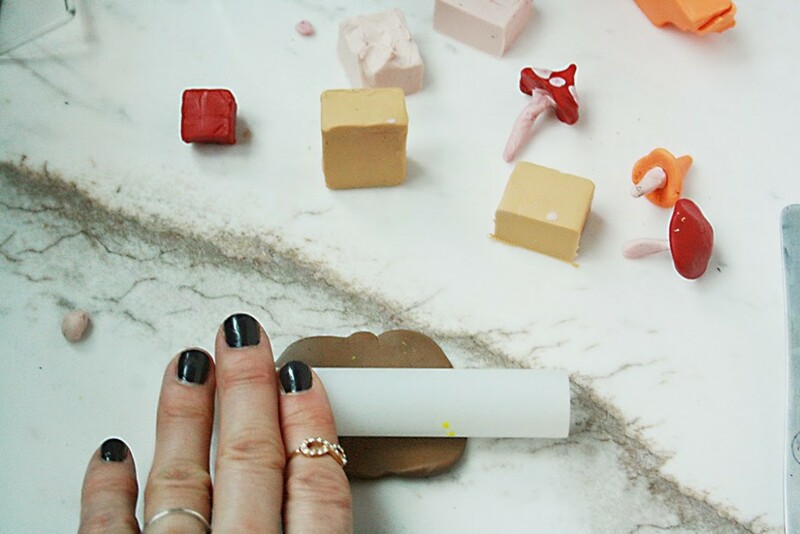 Follow the directions for the oven-baked polymer clay. 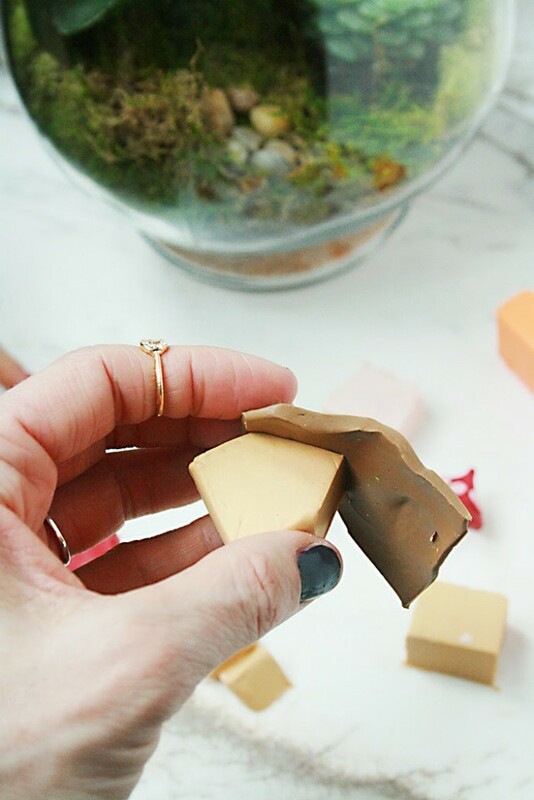 We used a knife and toothpick to create little mushroom tops and fairy-like houses. 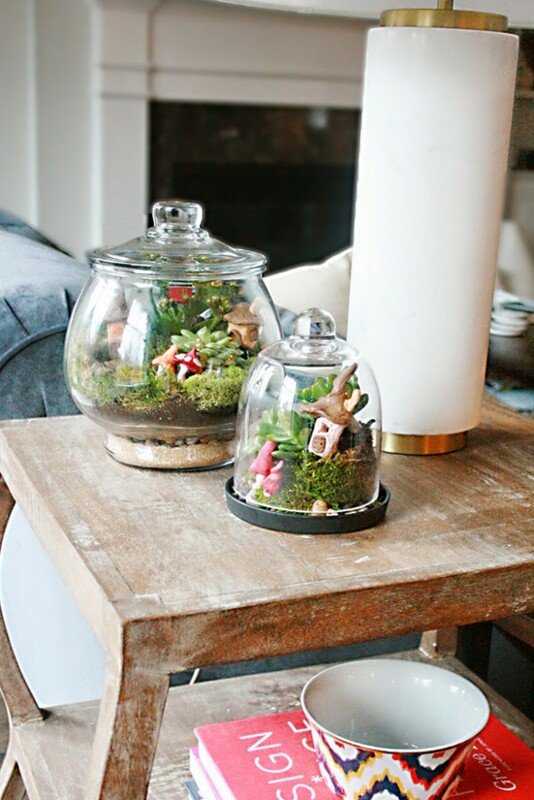 Really didn’t do much detail on the houses…just made them tiny to fit in the jar. 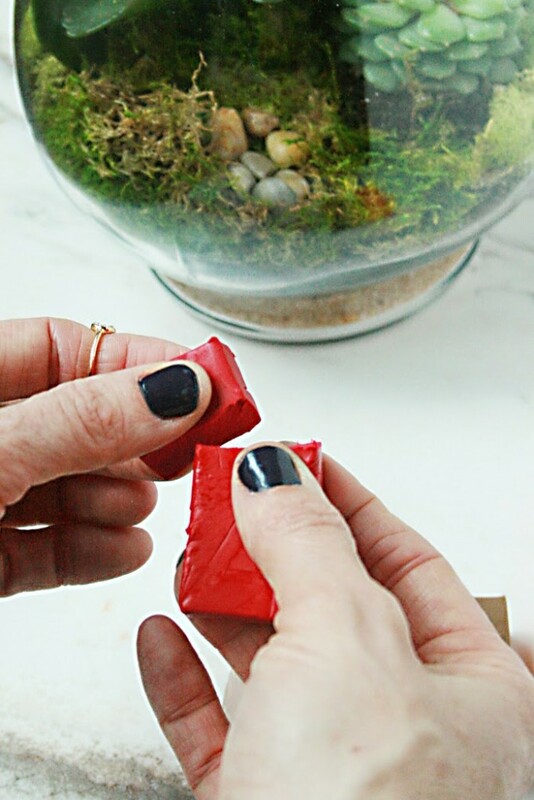 My kids did most the work, so this is a fun project for children to do and keep them busy! 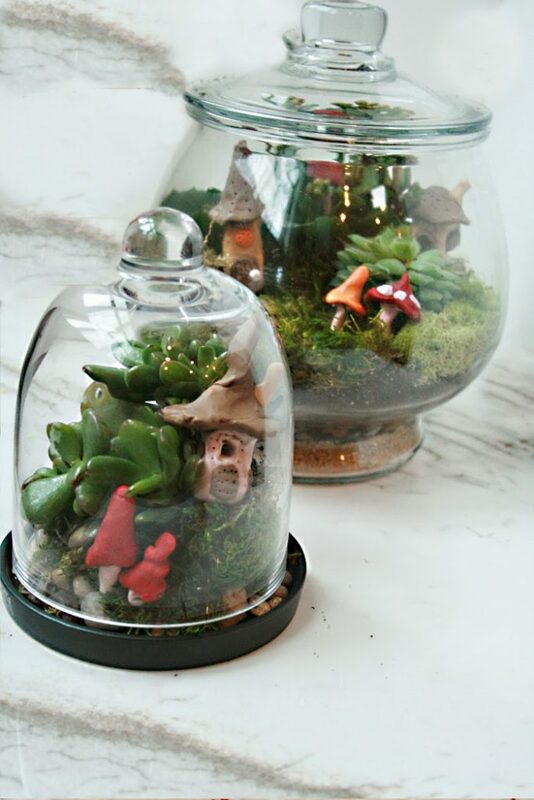 After you cook the clay pieces, add to the terrarium and your village is set to fool the leprechauns! My kids now want to add a little ladder and a pot of gold.